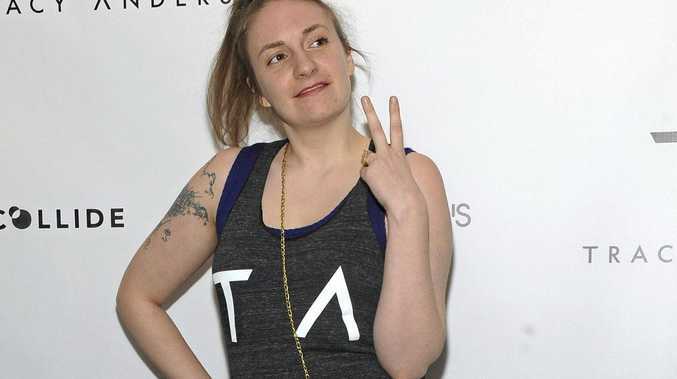 LENA Dunham has showcased her new slim figure at the launch of her personal trainer's new studio. The 30-year-old turned to Tracy Anderson - who also trains Gwyneth Paltrow - in her quest to get fit and the results are clear to see. During the photo call at the studio - which is based in New York - A-lister Paltrow rang Dunham to find out what was going on. Showing her around to the assembled press on videochat, Paltrow could be seen smiling proudly at the crowds that had turned out to praise the woman she calls a "genius”. Dungam's been vocal about her quest to get into shape and has staunchly denied it's had anything to do with weight loss. After she started training with Anderson in 2015, Dunham said: "With Tracy it's not about getting everyone to look a specific way”. Her workouts with Anderson are Dunham's main source of exercise. Dunham explained: "It's a mix of aerobics, strength training and something that kind of resembles pilates but that she created on her own”. "What I like about it is that Tracy really listens to your body and what you're capable of. There's no weird pressure. Although Dunham has never disclosed her weight loss, she's previously revealed she can fluctuate by about 12 kilograms. Dunham has spoken about how exercise is one of her main tools in trying to keep her anxiety and depression in check. "To those struggling with anxiety, OCD, depression: I know it's mad annoying when people tell you to exercise, and it took me about 16 medicated years to listen. I'm glad I did,” she said.